Graylan Scott Hagler began his career as an activist fighting to hold the forces of corporate America accountable for the socio-economic impact of their actions. For three decades he has been a powerful voice for disenfranchised black and Latino communities fighting irresponsible or racist corporate decisions which exploit those communities. As minister at the Third Unitarian Church on Chicago’s West Side in the 1970s, Graylan began looking for ways to bring the black and Latino communities to face injustices by which they were both affected. He founded Black and Latinos In Action, the first black and Latino coalition in the city, which was instrumental in the election of Harold Washington as mayor of Chicago. Graylan organized a sit-in that succeeded in forcing Sears and Roebuck Corporation to hire several hundred minority employees. This encouraged the Coalition to put pressure on other big companies, such as Schwinn and International Harvester, with similar employment policies and practices. In 1981, Graylan moved to Boston, in part because of the racial tensions that had catapulted the city into the national news. 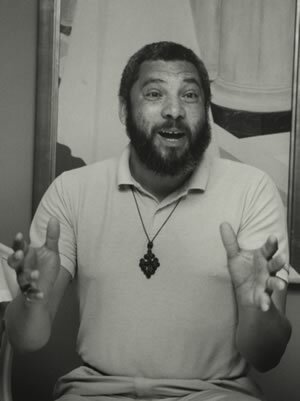 Graylan was attracted to the challenge of “combating racism and sexism, and attempting political empowerment in a city like Boston.” There he began holding services in his home in the Mission Hill neighborhood and in 1982, he took over a run-down, city-owned building near Dudley Station in Roxbury to start the Church of the United Community. The building had been functioning as a drug users’ haven and the church needed to find a way to reach out to the community of addicts it was displacing. As a result, the church started a small weekly drug program, which grew in attendance and success until it was offering daily meetings to accommodate hundreds of people a week. While presiding over the various services of his church, Graylan was also involved in addressing issues of racial justice in the Boston area. He was an outspoken critic of the Boston Police Department’s gang control tactics, which involved searching young black men on the streets without a warrant or probable cause. He became Vice President of the Massachusetts Civil Liberties Union, a National Consultant to the Disciples of Christ Actions for Safe and Just Communities, and a member of the Racial Justice Working Group of the National Council of Churches. In 1991, Graylan ran for Mayor of Boston in order to draw attention to issues affecting the poor not addressed by city hall. In 1993, Graylan brought his socio-political awareness from Boston to Washington, D.C. where he now works in the Fort Totten neighborhood, which he describes as a “community ripe for exploitation and withdrawal of capital.” As minister of the Plymouth Congregational United Church, he has been instrumental in helping his neighborhood control which businesses are allowed to operate. “We’re trying to keep liquor stores off every corner,” Graylan says, “because for a community, that is the beginning of a downward spiral.” In 1997, Graylan succeeded in having a local nightclub closed down whose parking lot had become a neighborhood drug market where one man was shot to death and several others wounded. Last year, Graylan became the Chair of Initiative 51, a group fighting to pass Proposition 51-a referendum in the District of Columbia to allow the public examination of corporate property tax records. Proposition 51 passed with 80 percent of the vote, allowing citizens to identify those large corporations that do not contribute their fair share to their communities because of tax breaks.